Hi everyone, it has been faaar too long! 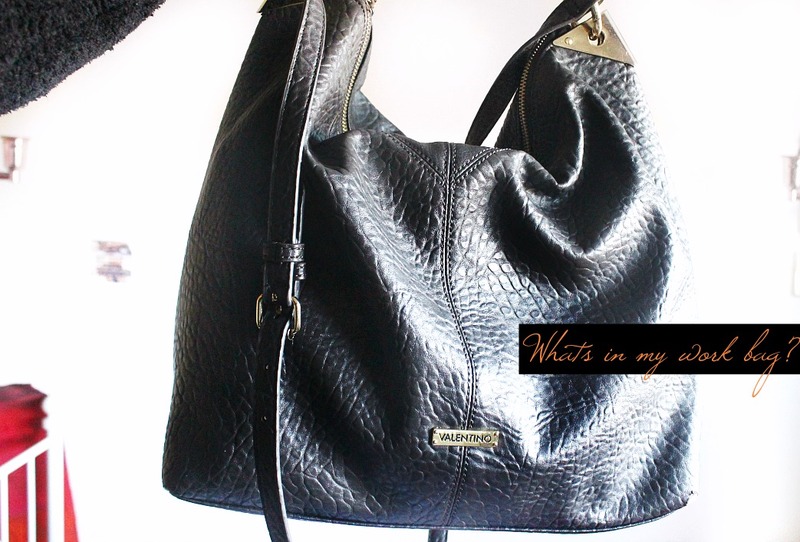 Todays post was inspired by a lovely reader of the blog, who asked me to share one of these 'whats in my bag posts'. Can I just state how much I adore Claire's versions of these on Youtube? Total magic! ✨ I am going to get straight into the post, so as you may know if you read my blog now and again I'm currently a trainee teacher. So it was really important for me to get myself a decent sized bag which I could carry my laptop and a folder or two in comfortably. Before I got really into makeup, I use to be obsessed with handbags haha, however since the last three years my money has been spent on makeup and food I had to cut out one indulgence and bags it was. However when I graduated, my current handbag was in such a state that I had to go on a hunt for a sturdy one that wouldn't cost an arm or a leg. Of course TKMaxx was the store that delivered in the end, because their handbag selection is probably the best on the highstreet. 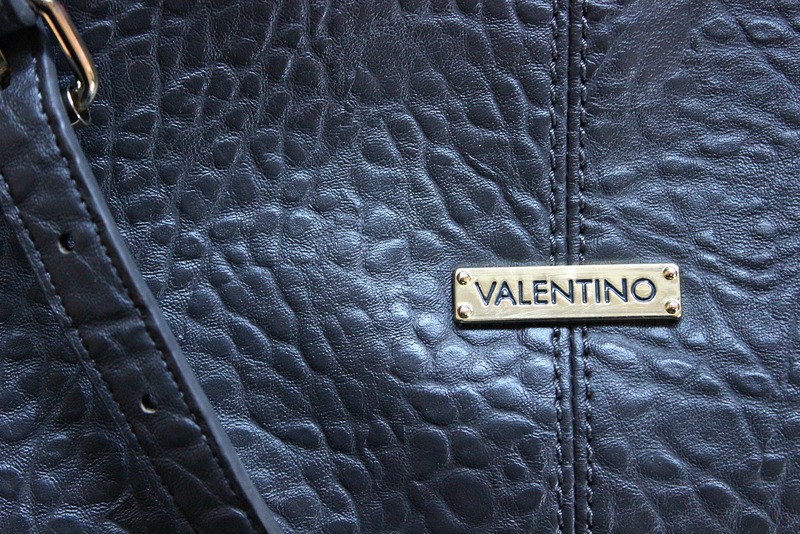 I came across this awesome Valentino bag, which obviously isn't anywhere near new in season, but it came with a dust bag and it IS valentino....so it counts as my first real designer bag right? Haha, I honestly am not fussed by labels at all and I don't aspire to own any designer gear any time soon, its more the fact that its a great size and comfortable to wear that drew me in. The best part was by far the price, its less than £50, I wish I could link it for you all but its one of those in store gems :( I appreciate that it has a strong shoulder strap so I can wear it closer, or when it's a little less empty I can wear it with the longer strap and have it hang as a bit more of a casual vibe. The only real gripe I have is the fact that it doesn't have studs at the bottom, so as you might be able to see the corners are already a little worn ._. I may have to ask my uncle to attach some on if he can without damaging the bottom of the bag, because I would like to to last of course. Right moving swiftly on to whats inside the bag, I HAVE to carry my diary around with me everywhere because I honestly have the memory of a goldfish and if I don't write stuff down theres not much hope. I also sometimes carry my bullet journal the khaki book pictured above, because when I make the time to use it, I LOVE IT! Bullet journaling is really great, but it is something you have to take time out of your routine to do, or even schedule actual time in to do. I have the Leuchtturm 1917 in the plain style and what makes this book a little bit too expensive, is that they have numbered pages which works really well with the whole index system of the book and style. I also have my keys of course! And I used to have a bunch of keyrings, including a little teddy and a few of those pom poms, but they all fell off and the only thing that remains is the beautiful Palestine keyring which I adore. 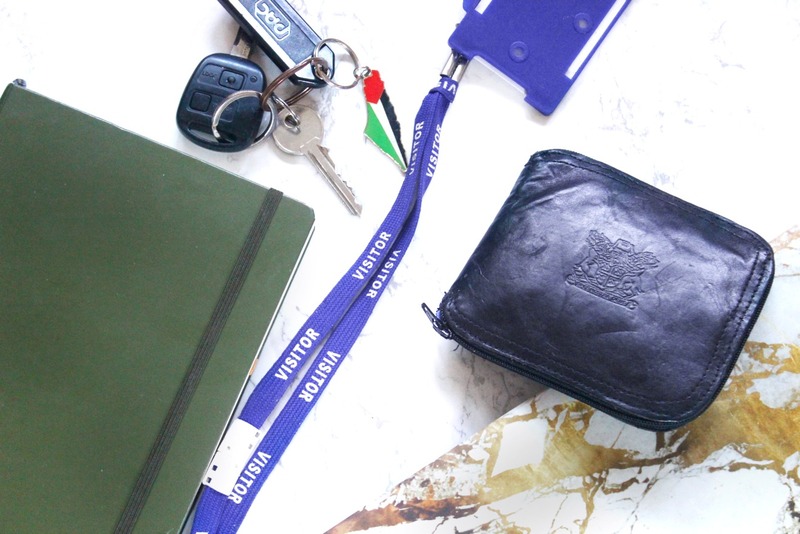 I normally always have one or two of these lanyard things, I spend Mon-Fri in two different schools and without my I.D it makes getting around them pretty hard because schools have tight security! That different coloured marble thing on the right hand side is my laptop, I always carry this around which definitely makes my bag heavier but I being on this course means I'm always having to check my emails or printing something out haha. Getting into the makeup side of things, I ALWAYS have my Charlotte Tilbury airbrush powder in medium, which also happens to be linked in my little shop right next to this photo ayyyyyyee! Anyway this is the best powder I have ever tried ever, I usually don't set my whole face when I first apply my makeup, so this is my touchup powder if I'm a little too shiny - because it restores my makeup like nothing else could and I feel like it blurs my skin a little too. I should probably mention that I DO wear this powder on special occasions or when I'm going for a lighter dewy base. 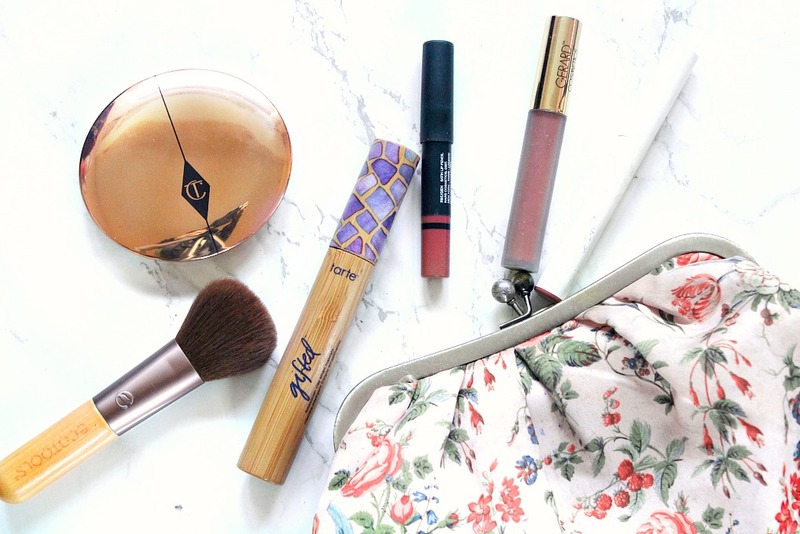 To apply the powder I have this mini ecotools brush, which I got in their travel set - can I just take this moment to say how under rated ecotools brushes are, srsly they're so good for the price especially. And thats about it really, aside from chocolate wrappers receipts and change haha. I used to carry everything AND the kitchen sink around with me, but the heaviness of a laptop and sometimes folders is more than enough for me these days.